Few people think of bugs when they think of pets, but arthropods make surprisingly good companions to those who aren't afraid of their creepy, crawly ways. Many arthropods are easy to keep in captivity, inexpensive (or even free) to obtain and care for, and relatively long-lived. Pet arthropods don't require much space, so they're good choices for apartment dwellers. There are some important ethical and even legal issues to consider before obtaining and keeping pet arthropods. If you tire of caring for your pet arthropods, you can't simply let them go outdoors, especially if your pets are exotic species. Even arthropods that are native to North America may not be native to your region or state, and shouldn't be introduced to your local ecosystem. Some scientists even argue that the individuals of a species in one area are genetically distinct from those in another area, and that an activities like butterfly releases may change the genetic makeup of the local population. So before you get a pet arthropod, you need to commit to keeping it captive. To keep some pet arthropods, you may be required to obtain permits from the state or federal government. A silkworm enthusiast who imported gypsy moth caterpillars for his hobby accidentally introduced the dreaded pest to North America. A non-native arthropod introduced to a new environment can wreak havoc on the ecosystem. To prevent such catastrophes from occurring, the government imposes certain restrictions on the importation and transportation of arthropods that could, should they escape, impact agriculture or the environment. Some popular pet arthropods, like giant African millipedes, require you to secure USDA permits before you can import them into the U.S. Arthropods from one region of the country may be prohibited in states where it isn't native. Do the right thing and check with your local, state, and federal government agencies before you obtain an arthropod pet. If you're planning to purchase an arthropod pet (as opposed to collecting it yourself), find a reputable supplier. 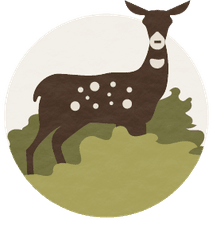 Unfortunately, the arthropod trade enables unethical suppliers to profit from collecting animals from the wild, without regard for the environment or conservation of the species. Some species are protected by the CITES treaty (Convention on International Trade in Endangered Species). You should make sure the supplier you use adheres to CITES regulations and any permit requirements imposed by the country of origin and the country of import. Join online groups for arthropod enthusiasts to learn more about which suppliers they prefer. Call the entomology department of your local university for recommendations to obtain arthropod specimens properly. It's your responsibility to educate yourself about where and how arthropods in the commercial marketplace were obtained. Whenever possible, choose captive bred arthropods over those collected from the wild. Some arthropods are difficult to breed in captivity, so this isn't always possible. However, some of the most popular arthropod pets, like tarantulas and scorpions, are usually bred in captivity. Always verify the source of arthropods in pet stores, of course. 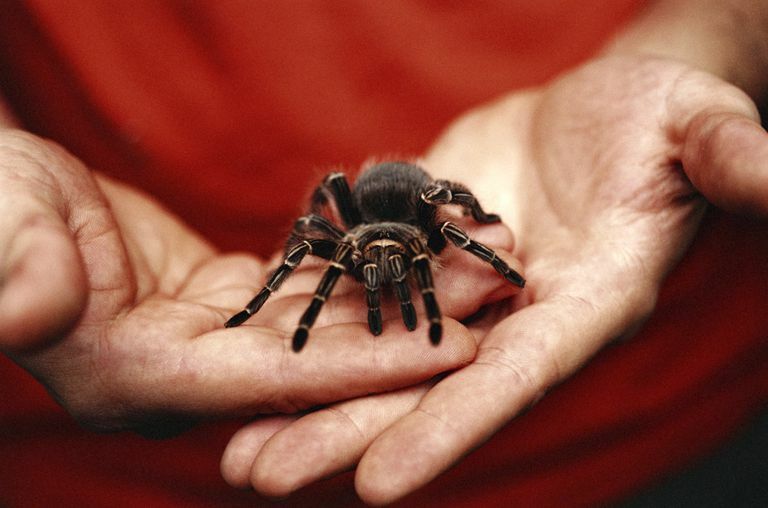 Most pet stores in the U.S. sell captive bred tarantulas and scorpions. In addition to ethical and legal considerations, you need to decide whether an arthropod is the right kind of pet for you. After all, they are living organisms with specific needs. If you aren't willing to provide your arthropod pet with the appropriate care and living conditions for its species, you should indulge your love of bugs by visiting an arthropod zoo. Before you choose an arthropod to keep as a pet, learn everything you can about its biology, natural history, and life cycle. Make sure it's a good fit for you. Most arthropods don't do well when handled frequently, and some can become stressed if you keep taking them out of their cage. Some will even defend themselves from the perceived threat. Millipedes exude defensive chemicals when threatened, which may give the handler rashes, blisters, or other allergic skin reactions. Scorpions do sting, and while common pet species like emperor scorpions have weak venom, it's no fun to be stung by your pet. Tarantulas, although they appear to be tough, are actually rather fragile and care must be taken not to let them fall to the ground. They're known for flinging tiny hairs from their abdomens when threatened, and one tarantula owner suffered eye damage from his pet's frantic attempts to defend itself while the owner was cleaning his cage. Make sure you can feed your arthropod pet appropriately. If you aren't comfortable with the idea of feeding live baby mice, crickets, or flies to your arthropod pets, don't choose a predator for a pet. There are plenty of vegetarian arthropods that do well in captivity, like millipedes and bess beetles. Be sure you have a reliable and steady source for whatever food you need for your pet. Do you have a local pet store that sells live crickets for feeding? Can you find enough of the host plant for your phytophagous pet? Dry air is the enemy of many arthropods. The low humidity in our climate-controlled homes can cause invertebrates to desiccate and die. Most arthropod pets need plenty of moisture in their cages or tanks to combat the dry air of your home. Can you keep the substrate sufficiently moist for your pet? Some arthropods require a water dish, while others get their water from their food. Either way, you'll need to stay on top of keeping the food fresh and the water supply full. As with any pet, you need to know how long it's likely to live. Captive tarantulas can live for over 10 years. Giant millipedes can be a 5-year commitment, and even smaller insects like bess beetles can live two years if cared for appropriately. Are you willing to commit to your arthropod's care for that long? What happens when you go on vacation? Arthropod pets need pet sitters, too. While some arthropods can survive a few days on their own, if left with sufficient food and water for the duration of your absence, others require constant care. Before you obtain a new arthropod, make sure you have someone willing to care for it when you're away. The pet sitter who cares for your dog or cat may not be comfortable caring for bugs. Fortunately, arthropods are fairly portable, so you can bring your pet to a friend or colleague if needed. Finally, make sure you have a plan in place for arthropods that reproduce in captivity. If you're adopting a few Madagascar hissing cockroaches, you may be surprised to find tiny cockroaches babies crawling around your cage one day. And those tiny cockroaches are remarkably adept at escaping, if you haven't provided the right kind of cage or tank to keep them corralled. If you keep darkling beetles, you may find your substrate crawling with mealworms. Again, it's important to know the arthropod's life cycle. If you're planning to keep an arthropod pet that is likely to reproduce, what will you do with the offspring? Do you know someone else interested in keeping arthropods? Do you have additional cages or tanks ready, if needed?